Chile. Copa America Campeones in Red. Colour is a bright and healthy medium red. Ripe fruit aromas. Deliciously smooth on the palate, subtle fruit, smooth tannins, some slight spice, long and pleasant finish. You don't come across this grape every day and this expression by Denis Duveau (who sold up his vineyard in the Loire in 1991 and headed off to South America) is something else, the wine pleasant and easily digestible. And Very Highly Recommended. Like Duveau, this grape originally came from France (Bordeaux) before losing its way and even its identity in unruly Chilean vineyards. Was it Cabernet or was it Merlot? Only in relatively recent times, the late 90s, has it been recognized for what it is. 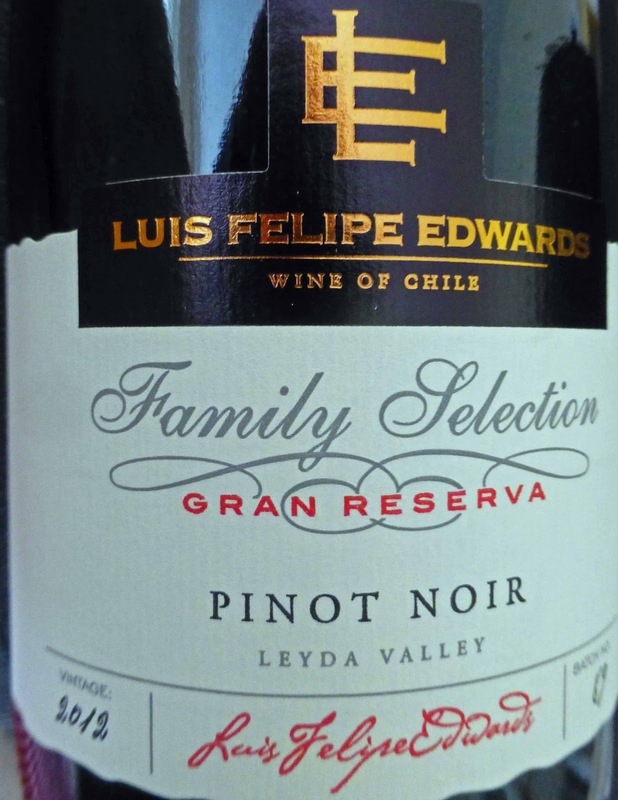 Now it is the signature red grape of Chile which produces the vast majority of Carménère wines available today. Carménère may have had a tough life but has rebounded well and the wines are not lacking in personality. Fruity aromas (red fruits) and hints of vanilla greet you. There are complex flavours on the palate, some spice too, tannins a minor player, and the finish is excellent. A pretty sophisticated Cabernet Sauvignon and Very Highly Recommended. 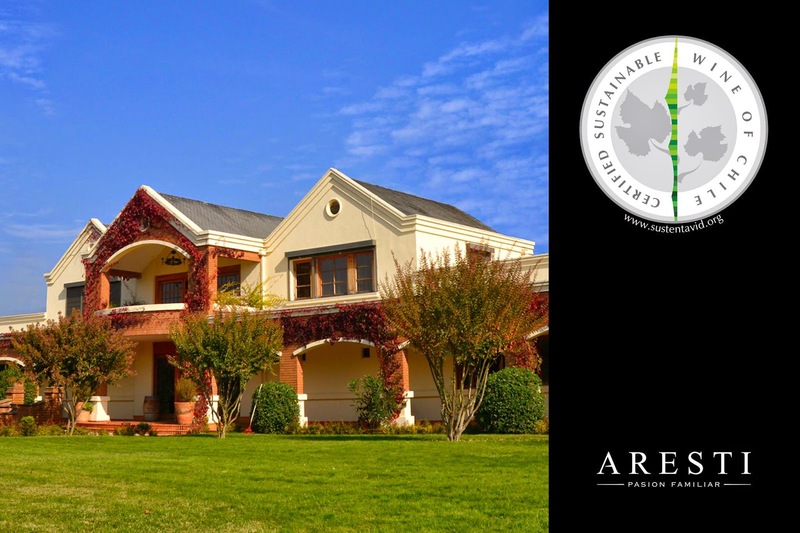 Aresti is a leading winery in Chile, also a leader in the move to organic. 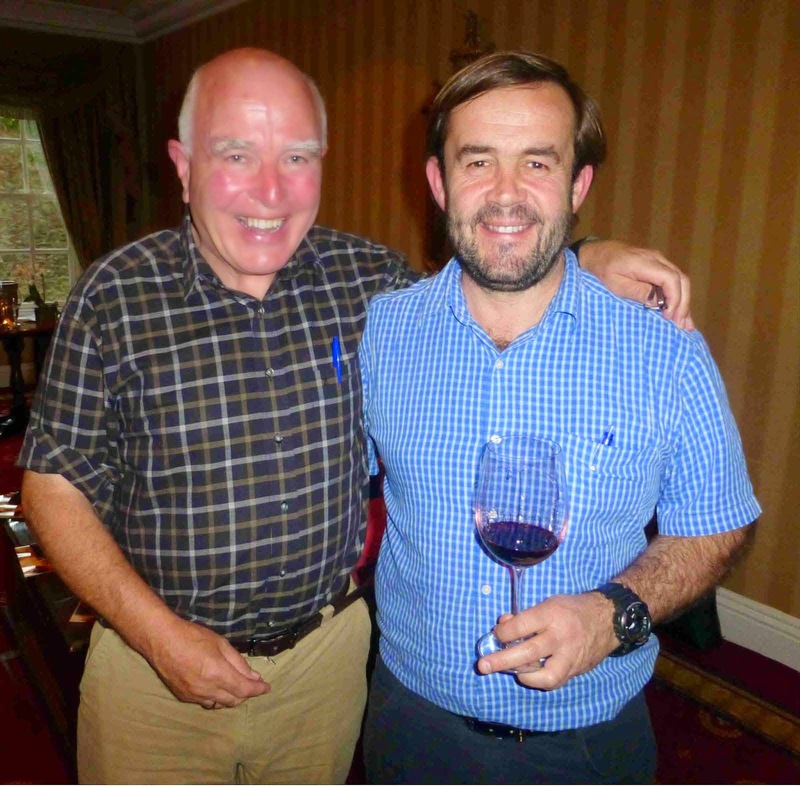 Winemaker Jon Usabiaga is highly respected and is a regular visitor to Ireland. The nose is complex, red and darker fruits, vanilla, a little drift of pepper. There is an intense flow of flavour, smooth, with quite fine tannins, a lighter experience than the Aresti, this is a superb wine with a velvety and persistent finish. Again, Very Highly Recommended. Red Fruit aromas here, hints too of vanilla. Tannins are soft and you have quite intense fruit characters here - it has spent time in French oak “to considerably increase complexity and texture”. The mature fruit flavours are nicely balanced by the refreshing acidity and there is a lingering finish. Thanks to cool ocean breezes, the grapes ripen slowly and freshness is retained. A Highly Recommended wine and good value also. The company, founded in 1976, has expanded hugely in recent years and, according to the Wines of South America “claims to be the largest family-owner wine company in Chile”. And their website proclaims that in 2014, they were “the most awarded winery in Chile” with no less than 130 international medals to their credit. * Speaking of champions, perhaps the best red wine that I've tasted from Chile is Cono Sur's Ocio Pinot Noir. But it will cost you, more than double the price of any of the above! And I usually try to keep my recommendations between ten and twenty five euro. 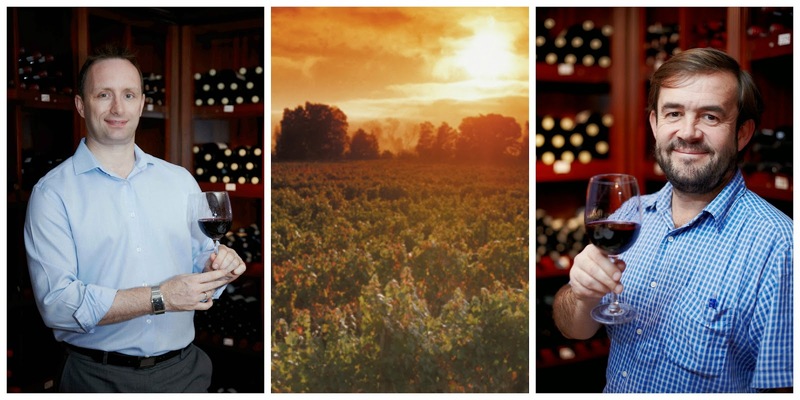 Jon Usabiaga, winemaker at Aresti in Chile, is highly regarded by his fellow wine-makers. He was in Cork late last year and I met him at the Hayfield. “The main aim for me is to show the real character of every variety. If someone is choosing a Cabernet Sauvignon, it should taste like a Cabernet Sauvignon”. I reckon he got it right with the two wines below. Makes me want to try a few more from Aresti, including the Trisquel Assemblage, the Trisquel Syrah and the Family Collection. Colour here is a medium gold and it is quite aromatic, fairly typical of the variety, with vegetal and herbal notes. Flavours are certainly intense, it is fresh and very well balanced, with a long dry finish. Very Highly Recommended. Some serious sniffing here or, at least, some serious rewards as beautiful fruity aromas greet you. In the mouth, you'll note that delicious blackcurrant, also a gentle drift of spice, an imposing character, the smoothest of tannins. There is an excellent balance and the finish is a match for all that has gone before. Another superb wine and again Very Highly Recommended. 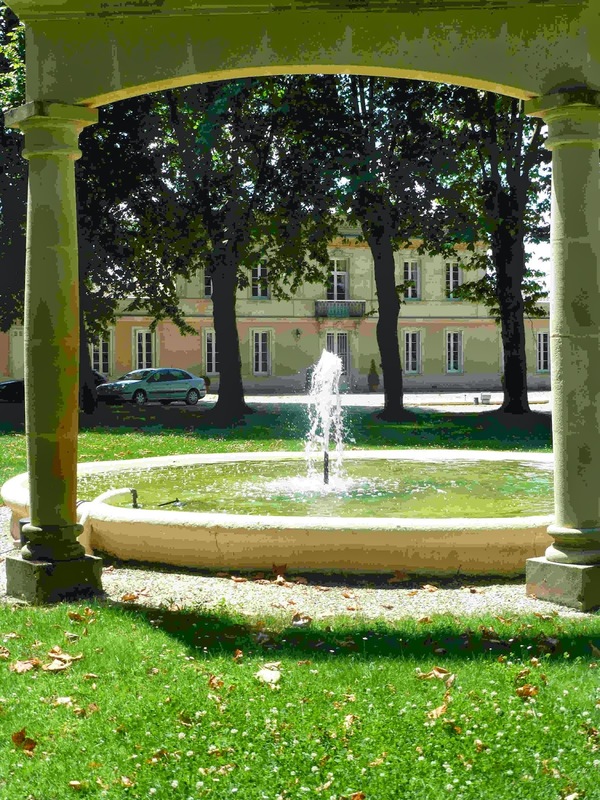 A Margaux chateau this summer. Marques de Riscal Gran Reserva 2001 (150th anniversary edition), 14%, €49.99 Bradley’s, North Main Street, Cork. This was produced to mark the 150th anniversary of Riscal and is rather special, a good choice for a special occasion of your own! It is the normal Rioja blend of Tempranillo (mainly), Graciano and Mazuelo, but from vines older than 30 years. The picking was by hand. Two and a half years in American oak was followed by three years bottle aging. Dark cherry in colour, it has a complex nose: herbs, oaky fragrances, spicy. It is rounded, at this stage, well balanced with a viscous mouthfeel, no shortage of power or backbone, intense black fruits, supple and with a long silky finish. Superb. I’m sure you'll think of a special occasion. Very Highly Recommended. By the way, I had a special occasion myself! Normally, I'll be sticking to my usual (flexible!) price range on this site, usually between €12.00 and €22.00. Domaine de Maucaillou Margaux 2009, 12.5%, €12.00 in Margaux June 2014. Moved on to this just as I was finishing the Riscal. What a pleasant surprise and a pleasant reminder that price is not always the best indicator of wine quality. This is a beautiful Bordeaux from a good year. Thought it was one of the more expensive of the Margaux that I bought there this summer and, on checking, was surprised to see it was the cheapest. This is a blend of 70% Cabernet Sauvignon and 30% Merlot, has spent 12 months in barriques and is produced in a 2.3 hectare vineyard. Confusingly, there is a Chateau Maucaillou not too far away in Moulis. Colour is a deep ruby, healthy and bright, and it has a rather delicate fruity nose. On the palate, it has power and attractiveness in equal measures, a big wine indeed from a very small domaine, and a very nice finish as well. Check out your local wine merchant for Margaux. This one, if you come across it, home or away, is Very Highly Recommended. 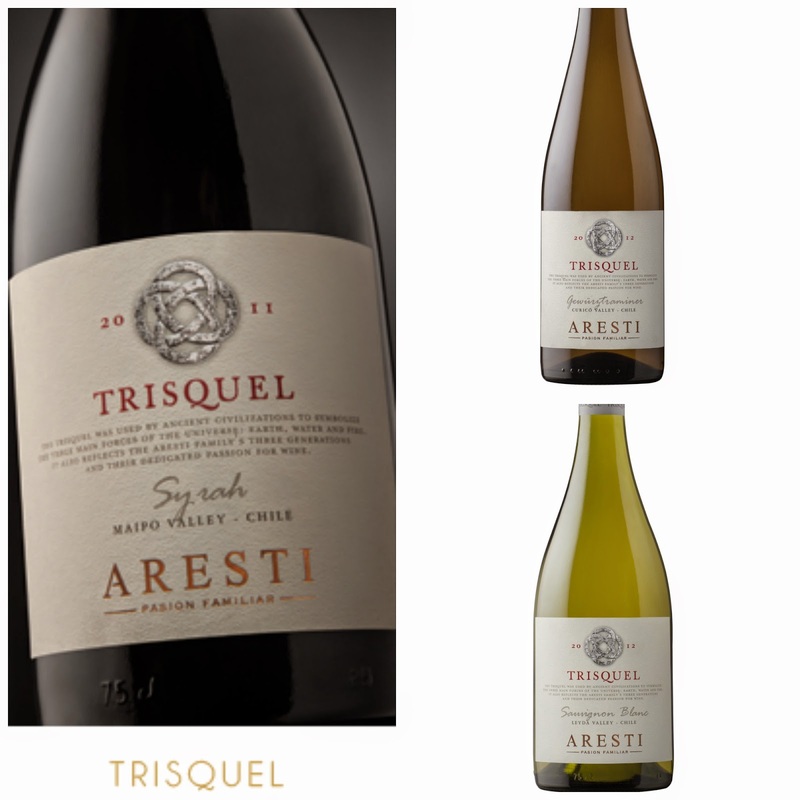 Aresti Trisquel 2012 Syrah (Chile), 14%, €17.99 Supervalu. This dark dark red has an intriguing nose: blackcurrants, spices, vanilla, caramel, smoke even. The Syrah (rather than Shiraz) suggests a nod towards the European style and it is indeed close to the more restrained Old World style. Quite complex on the palate, juicy, spicy, darkly fruity and a long pleasing finish. Quite a lot going on in this really stunning wine. Very Highly Recommended. 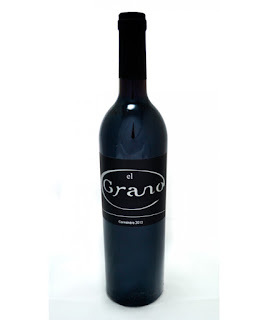 Moulin de Gassac Albaran 2011, Cabernet Sauvignon and Syrah Old Vines, 13.5%, €14.49 Curious Wines online. On the lookout for value? Then you could do worse that check out the Curious Wines website as they give genuine discounts throughout the year. I saved three euro on this one a few weeks back. This is an excellent red for the price, great fruit and flavour, a highly recommended easy drinker from this innovative and well established Herault (Languedoc) vineyard. Kevin, the Curico Valley, and Jon. Jon Usabiaga, Chief Winemaker at Chile’s Aresti, was in town last week and brought a stellar line-up of the company’s wines with him. 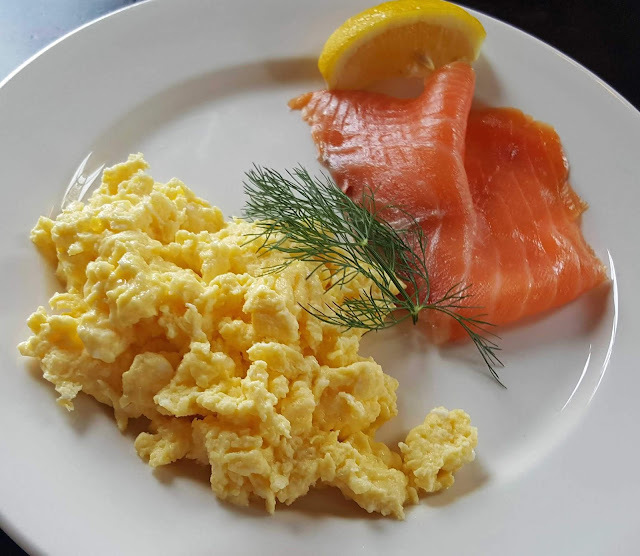 We tasted nine of the best at the SuperValu tasting in the Hayfield Manor. Started off with a couple of the Special Release range, a Sauvignon Blanc 2013 and Chardonnay 2013, two completely different wines but both very good indeed, both Premium level wines. The Sauvignon, from the cold Casablanca Valley (close to the ocean), has had two months on its lees and is a very refreshing wine, well balanced. In answer to a question, Jon advised drinking it as soon as possible. It could last well for two years but won't improve! The Chardonnay, or at least part of the wine, is aged in oak and also “a little bit on lees”. It is from the same valley “but completely different… more tropical fruit..more complex". But the same price! Both bottles are selling at ten euro for the next few weeks. Perhaps the first surprise of the evening was the Trisquel Gewűrztraminer 2012. A German connection led to this wine being grown by Aresti in the Curico Valley. Gewűrz is scarce in Chile and Aresti are now one of the biggest growers of the grape. The reds started with two from the Special Release: Merlot 2012 and Cabernet Sauvignon 2012. Jon loves the Merlot from specially selected vineyards in the central Curico: “..a little colder..very special conditions to grow Merlot..a perfect fit”. The Cabernet comes from a different warmer valley and the wine produced is well balanced and great value, especially with the current discount. And then we were on to a gem: Trisquel Assemblage 2011. And a good story from Kevin who recalled a lady who used visit the wine store where he once worked. She always checked the bottles closely. One day, she forgot her glasses and Kevin stepped in and asked how he could help. “I want to know the voltage,” she replied. Well, the ABV on this one is 14%. Kevin loves it: “...very smooth...lots of tannin but nothing too grippy...well balanced”. It takes a bit of “assembling” too according to Jon who revealed they first make it on a small scale “until we’re happy” and what they are happy with here is Cab Sauv 44%, Syrah 42% and Petit Verdot 14%. “There are very complementary characteristics among the three grapes,” said Jon. “It is not often a wine makes you sit up and take notice”, said Kevin as he introduced the outstanding Family Collection 2009, a red blend. “The nose keeps changing...the complexity keeps coming out slowly… It is still in its infancy, perfectly balanced with potential to age… 5 to 10 years more in this.” By the way, the “voltage” is 14.50%. The blend is Jon’s pride and joy. “With this wine, I enjoy being a winemaker - fun to mix everything!”. Here are the stats: Cab Sauv 59%, Merlot 12%, Syrah 10%, Petite Sirah 10% and Malbec 9%. John though does manage to also squeeze in one per cent Viognier to give “that little pinch of something else”. It all adds up not to 101% but to an outstanding wine! SuperValu has been working directly with Aresti Estate Wines, a family run Chilean winery, for almost ten years. During this time they have developed a terrific partnership resulting in Aresti Estate wines becoming Ireland’s 5th biggest imported Chilean range. The Aresti family estate supplies SuperValu exclusively as part of the Specially Sourced range. Looks like a winning combination! White: The Trisquel Gewurztraminer and the Trisquel Sauvignon Blanc. 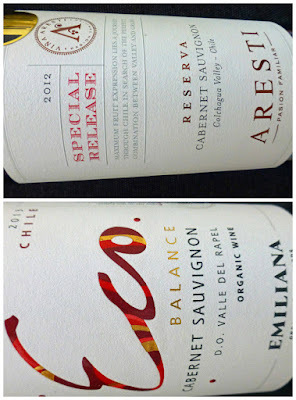 Red: The Trisquel Assemblage, The Trisquel Syrah and the Family Collection. At present, until September 24th, reductions (some quite substantial) are available on many of the wines mentioned above. Ninja Sushi Bento Can Brighten Up Your Day!